MSRP: This kit is available in it's 2015 re-release for various prices at several shops in Europe. My kit has a 1983 copyright on it. The Scania Topline R 143 is the flagship in a wide-ranging truck program. The Scania Topline has a fully equipped long-distance cab with a 22 cm higher roof than previous heavy Scania trucks. Topline represents a perfect workplace for its driver. The powerful engine features eletronically controlled fuel injection. This model represents what was the latest Scania design of heavy trucks back in the early 80's. A typical feature of the Topline is its sturdy construction, giving good protection in the event of an accident. This truck was a true "King of the Road". 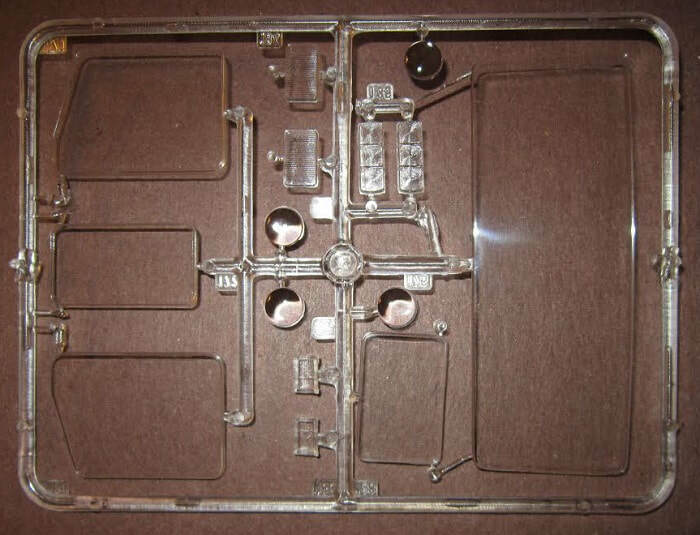 This kit comes in a large shrink-wrapped tray and lid box. All the parts jam packed inside with a fit tight in all directions. There is little or no void. 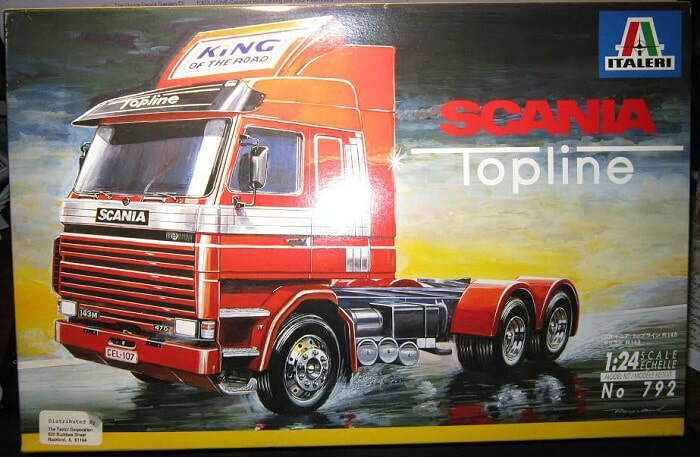 The box art shows a Scania Topline moving down a rain-soaked street at night. It is overall bright red with chrome trim. There is a white sign with black lettering on top of the air foil on top of the cab roof that says "King of the Road". The word "Topline" is in white lettering on a black sun sceen. There are two black plates at the bottom of the grill. They are both black with white lettering. The left one has 143M on it and the right one has 470 on it. The white license plate on the front bumper is white with red lettering CEL-107 on it. There is a white sticker on the shrinkwrap that says that the kit was distributed by The Testor Corporation with their address in Rockford, Illinois shown. One side panel of the box has one paragraph histories about the truck in English, German, French, Italian, Dutch, Finish and Swedish. The other side panel completes this in Japanese and Chinese. All the languages are labeled with color illustrations of the flags of the countries that speak those languages. 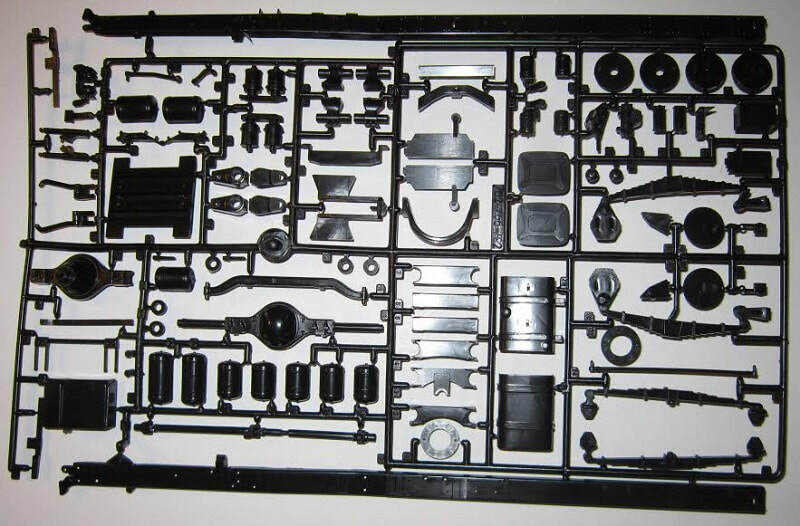 This is followed by a list of Model Master brand paint numbers, MADE IN ITALY with Italeri's street address, "Not suitable for children under 3", for modelers 10 and over in the 10 languages and the copyright date of 1983. This kit contains 4 jet black trees, 3 bright red trees, a light-tan tree, the clear tree, the decal sheet and the instructions. The decal sheet came with a frosted tissue for the face of it to protect it from scratching. However, it was floating around loose and not protecting a thing. I stapled it to the decal sheet. The instructons consist of a single sheet that accorion-folds out into 6 page in 12 1/2" x 7" page format. 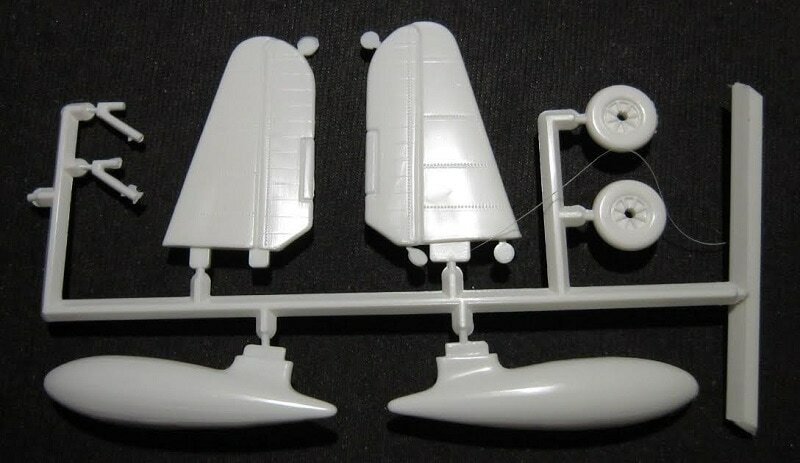 Page 1 begins with a black and white photo of the model made up with no markings or the chrome added to it. Below this is one paragraph histories of the truck in the 10 languages, including English. Page 2 begins with "Attention - Useful Advice" in 8 languages, including English. This is followed by illustrations of how to use tools and recommending Italeri's No. 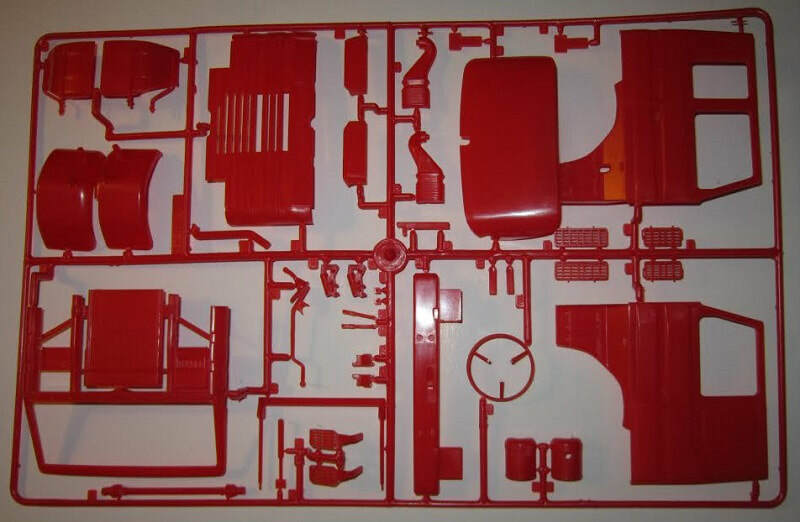 962 hobby tool set. The bottom half of the page has 5 of the parts trees illustrations. These trees are not the usual alphabetizing. Instead, they are labeled with geometic symbols on all but one. That one is letter A. The top of page 3 has 4 more parts trees illustrations. Some parts are shown X'd out in these illustrations as being excess and not needed to complete the model. 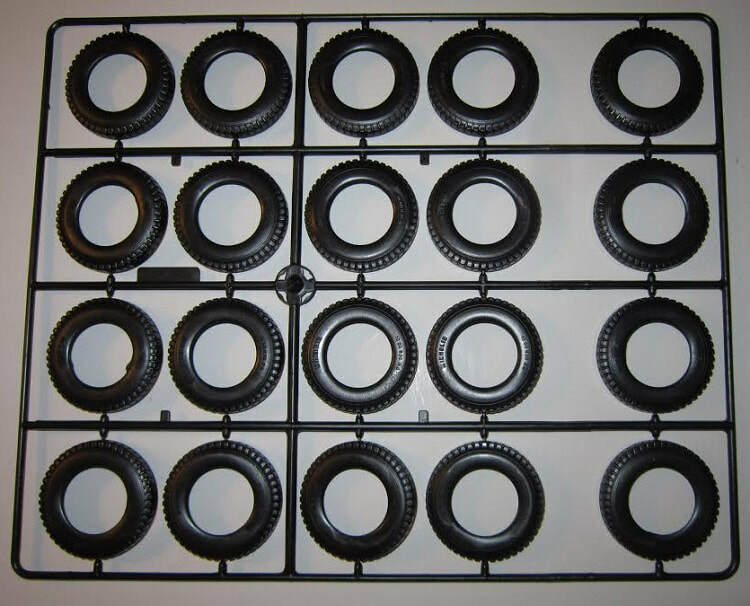 The bottom of page 3 has a listing of Model Master paints over the first assembly step. Page 4 through 8 give a final grand total of 16 assembly steps. The top of page 8 has the decal application instructions. The first large black tree is labeled as square. It holds: engine and exhaust parts, fenders, seat supports, grab handles, foot pedals, steering wheel and its shaft, headlight housings, cab doors inside panels, license plates, rear view mirrors, 5th wheel trailer attachment plate etc. (93 parts) 24 parts are X'd out in the instructions as being excess. ​The 4th and last black tree is labeled as wagon wheel spokes also. It holds the wheel hubs (20 parts) 15 parts are X'd out as being excess. ​The 1st bright red large tree is labeled as a 8-pointed star. 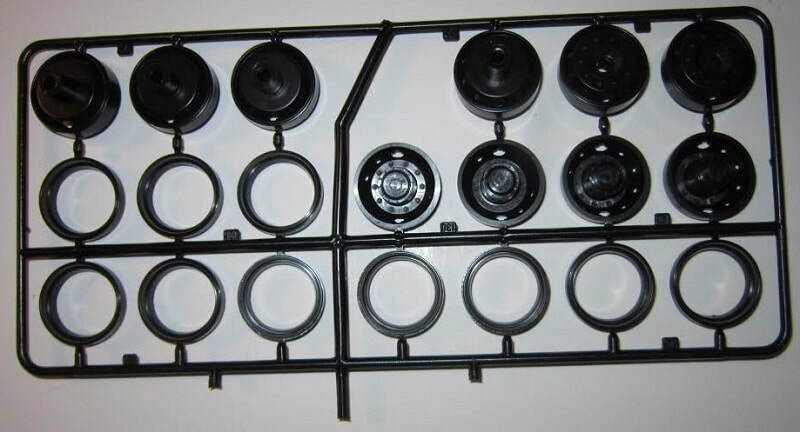 It holds: the cab sides, the grill, coiled springs, fenders, radiator, front bumper, air tank halves etc. 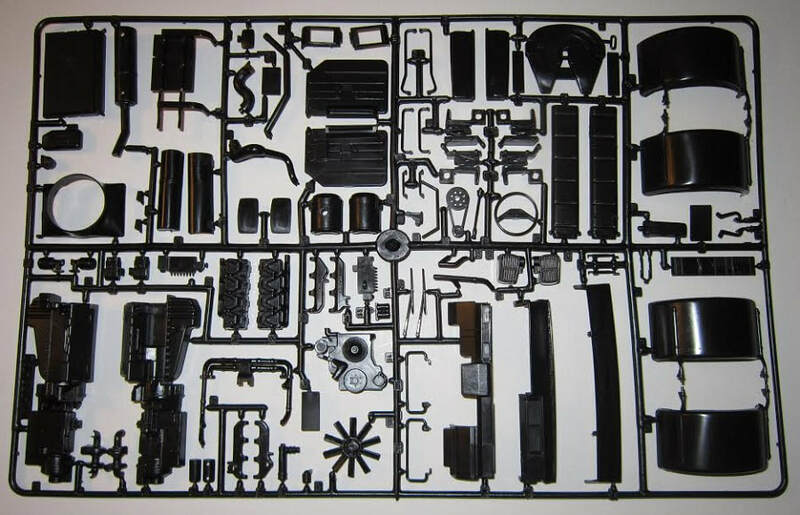 (37 parts) One part is excess. ​The clear tree holds the cab windows and light lenses (15 parts) It is labeled as a solid 5 pointed star. 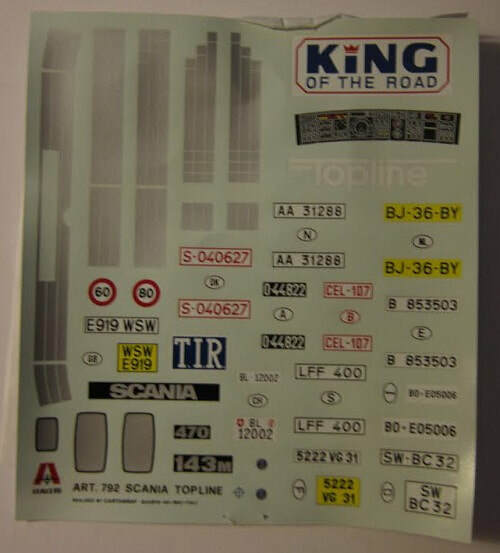 ​The decal sheet has a bunch of European type license plates, the instrument panel and chrome trim on it. 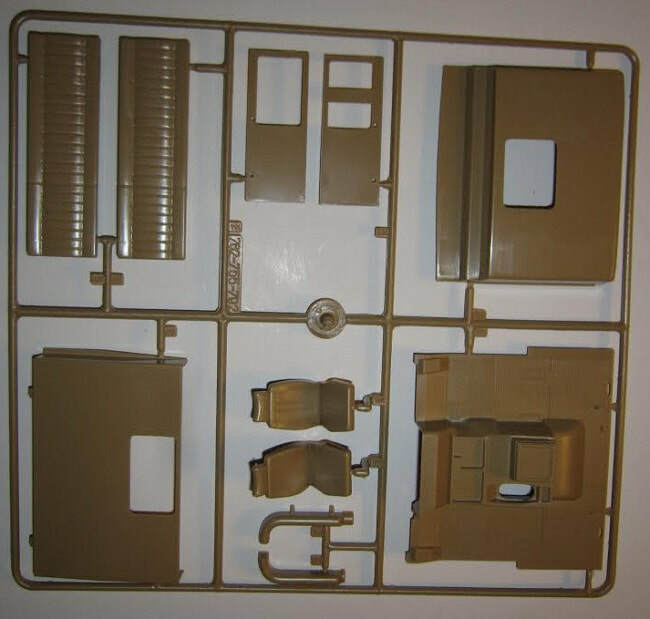 ​This is a neat kit, with a lot of parts in the box. Not for the novice modeler and not a weekend project for sure. I just wish there had been some U.S. license plates on the decal sheet. I don't know though if Scania trucks are used in this country though. I don't normally do truck models, but I got this kit for a song at a shop that went out of business here in town just before they sold out. This kit is for sale for a decent offer + postage.